The Princess Hotel is situated in the heart of the city and is one of Bangkok’s leading 5-star hotels. 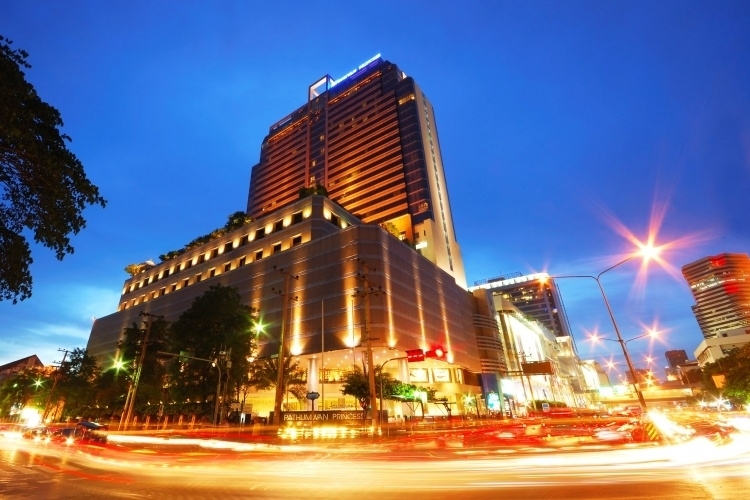 The hotels location is unique, adjacent to the famous MBK Centre and is surrounded by Bangkok’s best retail and entertainment facilities. Also Spacious accommodation where a lavish blend of modern Thai contemporary decor is accented by a wide range of modern amenities. Please be advised that Burasari follows the local Thai Non-Smoking Law. Smoking is prohibited inside the hotel rooms, restaurants and common areas. Prices are from a starting price per person sharing, subject to change, airfare increase, currency fluctuations and availability. Taxes are estimated and based on the current exchange rate and are subject to change. Advance purchase, peak season surcharges, block out periods and minimum stay conditions may apply. Prices may vary and will be confirmed with a formal quote.